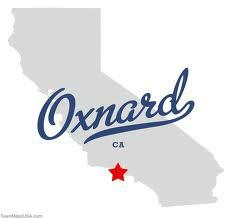 Oxnard Movers is a fully insured and bonded company that specializes in local relocation. Local moves have a radius of under 100 miles. 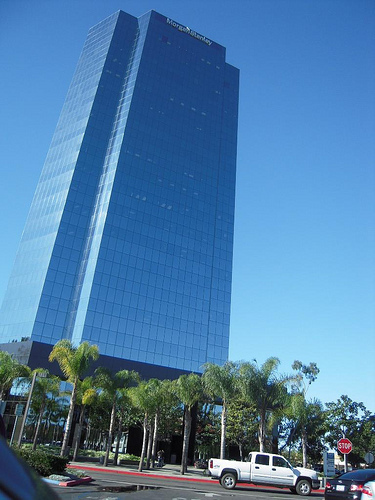 If you want to make sure that your belongings are safe and you can rely on the company for the price stated. Don't go any further. Oxnard Movers local movers unit is the right company that will satisfy your needs! We perform local moving of office and household goods, commercial and production equipment, personal things and business supplies – our local moving service includes all the spectrum of options! 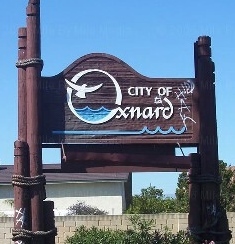 Oxnard Movers provides the best local services for the lowest rates. We can assure you that your business and personal belongings are secure with us! Call us right up and get your special offer of the day! Our company really cares about our clients! Most of our business has been referred to us by our former customers and our local partners. In California local moves are charged hourly. Hourly rates depend on the number of movers and trucks involved in the job. Choosing the proper number of movers and right size truck or trucks is the most important tasks in controlling the cost of your move. These are ranges for different size households. However each household is very different (in the past we have relocated residences that required help of 4 trucks loads and took days). Studio to Small 2 bedroom apartment (size: up to 600 cubic feet) - 2 Movers & 1 Truck (14'-20') size. Large 2 bedroom to 4 bedroom residence (size: 700 - 1,200 cubic feet) - 3 Movers & 1 Truck (24'-28') size. Large 4 bedroom residence and larger (size: 1,250 - 2,800 cubic feet) - 5 Movers & 2 Trucks. To prevent any surprises, our specialist will take a detailed inventory of every single item in her household. Specialist then will apply the proper size measurements and choose the right team of movers. Oxnard Movers has a team of estimators whose job is to take detailed inventory of the items to be moved. 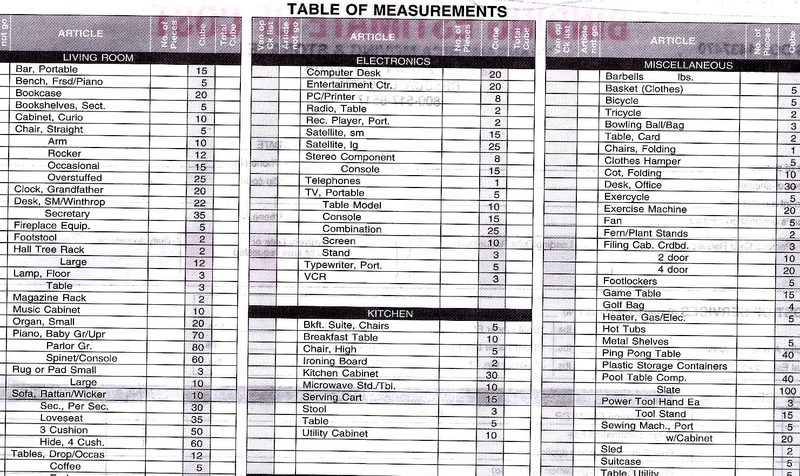 The "table of measurements" has been used in the industry for over three decades and it is a good tool to determine the size of the residence. This allows movers to determine the proper team of movers and materials to best assist our clients. Nowadays we have a software program that allows us to do same calculations in a matter of minutes. The estimate is fast and accurate it is available to all customers that are willing to spend a few minutes describing their residence and room by room items or invite an estimator for a quick tour and a free quote.